The “Clean Internet” initiative recently published data on the most active trolls from Bulgarian groups on Facebook. According to the anonymous activists, who claim to have analyzed a huge volume of public data from the social network, the most active troll on Facebook is “Adrian Nikolov”. He is the author of over 80 thousand publications from 29 different profiles. Eli Dimitrova is another very active troll. “Clean Internet” further claim to have found the man behind the name “Adrian Nikolov”, whose many profiles show that he is friends with Stephen Proynov. The latter has designated himself as manager of “Bulpress” LTD. Such company exists and its owner is Adriana Nikolov Dimitrov from Bulgaria’s northeastern city of Shumen, “Clean Internet” say. Bivol conducted an independent verification of these data and found out that they are confirmed by matching domains associated with the names of the trolls. Adrian Dimitrov Nikolov and his mother Elena Angelova Dimitrova manage a large network of sites with similar content – glorification of Russia and its President Vladimir Putin, nationalistic slogans, hatred against refugees and Roma and… propaganda in favor of the Bulgarian Socialist Party (BSP). All these sites are hosted by the same contracted server in Bulgaria. Our attempts to obtain a comment from the listed as contact email addresses remain without result. As contact information, Adrian and Elena give the same address in Shumen – 21, “Dedeagach” street. The company “Bulpress”, owned by Adrian, which exists since the end of 2015, is registered at the same address. The mother owns the company “Triada Invest” registered in the town of Pliska. Both companies are not registered for VAT and are not reporting any revenues. 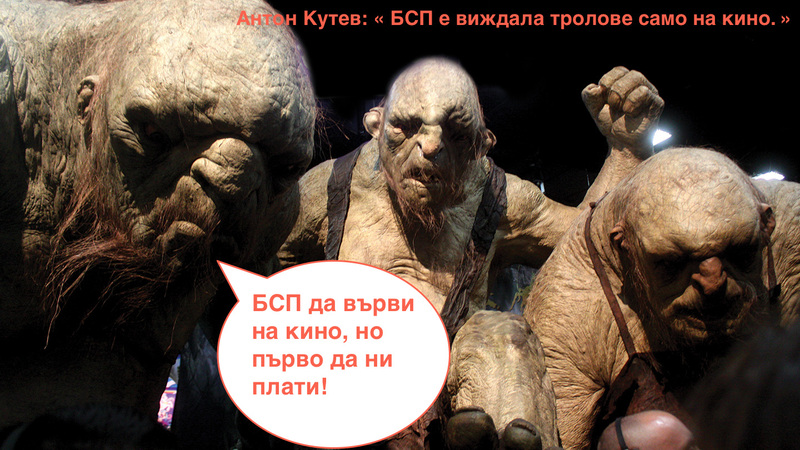 Three years ago, Bivol exposed, based on leaked documents the troll company “LEADWAY”, that BSB, the right-wing Democrats for Strong Bulgaria (DSB) and the current Bulgarian Vice-President (MEP at the time), Iliana Yotova, for having used the services of trolls. It became clear that under the guise of services for building online reputation, political parties had given “talking points” to the company and in turn “LEADWAY” had disseminated them in the form of comments in forums and social networks. The company has provided detailed reports to account for its activities. “The appropriateness of the project is conditioned by the fact that information disseminated by a media that is not bound by a political or business entity will easily reach an audience that is increasingly sensitive to media manipulation and will be considered reliable with more credibility,” LEADWAY writes in its offer to BSP. The actual goal becomes clear further in the text – “this will enable the timely assembly of an adequate political response and by the use of the specific instruments of our media, it will be effectively communicated through an impact on attitudes, moods and behaviors of targeted audiences“. What is new now is that the troll content is first produced at conveyor sites for fake news and then an extensive presence in social networks is provided.